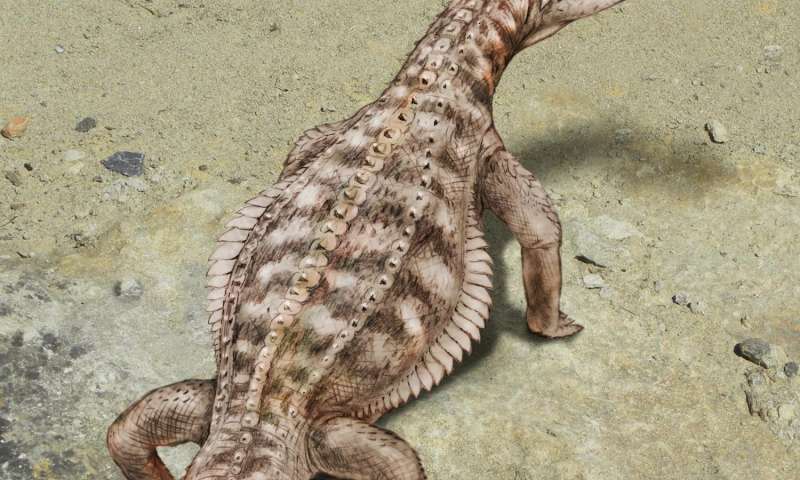 An exceptionally-preserved fossil from the Alps in eastern Switzerland has revealed the best look so far at an armoured reptile from the Middle Triassic named Eusaurosphargis dalsassoi. 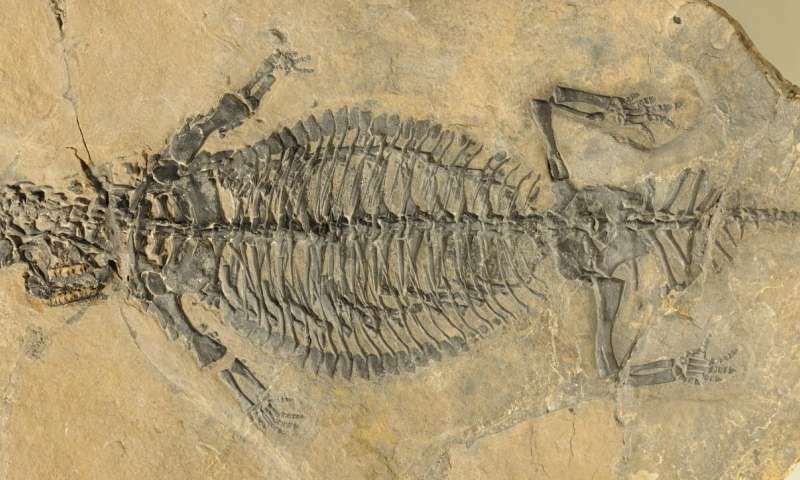 The fossil is extremely rare in that it contains the animal's complete skeleton, giving an Anglo-Swiss research team a very clear idea of its detailed anatomy and probable lifestyle for the first time, according to a paper published in Scientific Reports today. At just 20 cm long, the specimen represents the remains of a juvenile. Yet large portions of its body were covered in armour plates, with a distinctively spiky row around each flank, protecting the animal from predators. Today's girdled lizards, found in Africa, have independently evolved a very similar appearance even though they are not closely related to Eusaurosphargis. "Until this new discovery we thought that Eusaurosphargis was aquatic, so we were astonished to discover that the skeleton actually shows adaptations to life on the land," says Dr James Neenan, research fellow at Oxford University Museum of Natural History and co-author of the new paper about Eusaurosphargis dalsassoi. "We think this particular animal must have washed into the sea from somewhere like a beach, where it sank to the sea floor, was buried and finally fossilised." The findings from the research team are published in Scientific Reports as 'A new, exceptionally preserved juvenile specimen of Eusaurosphargis dalsassoi (Diapsida) and implications for Mesozoic marine diapsid phylogeny'. It looks like the horned toads we have here in the Mojave Desert.